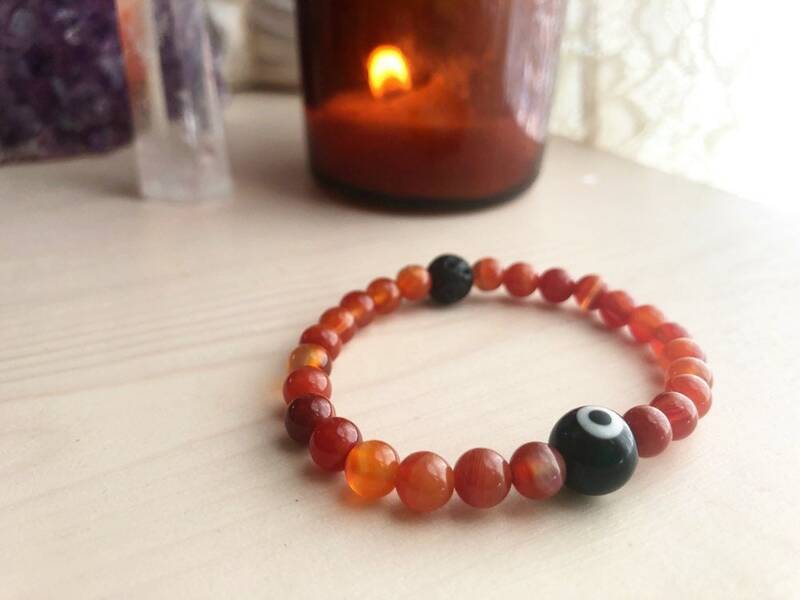 🤗 Genuine Fire Agate stone beads helps protects against ill wishing (spells, curses), builds a protective shield around the body and returns harm back to its source. 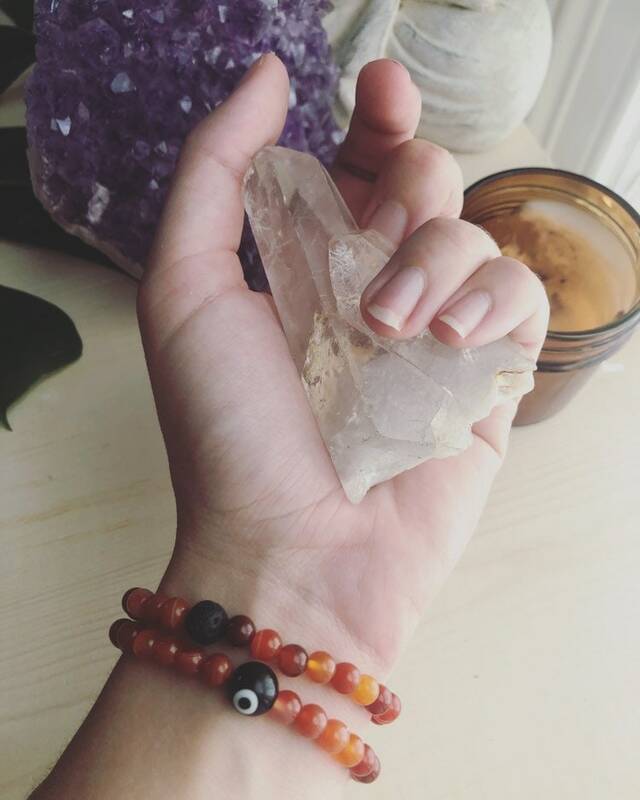 This stone encourages introspection. 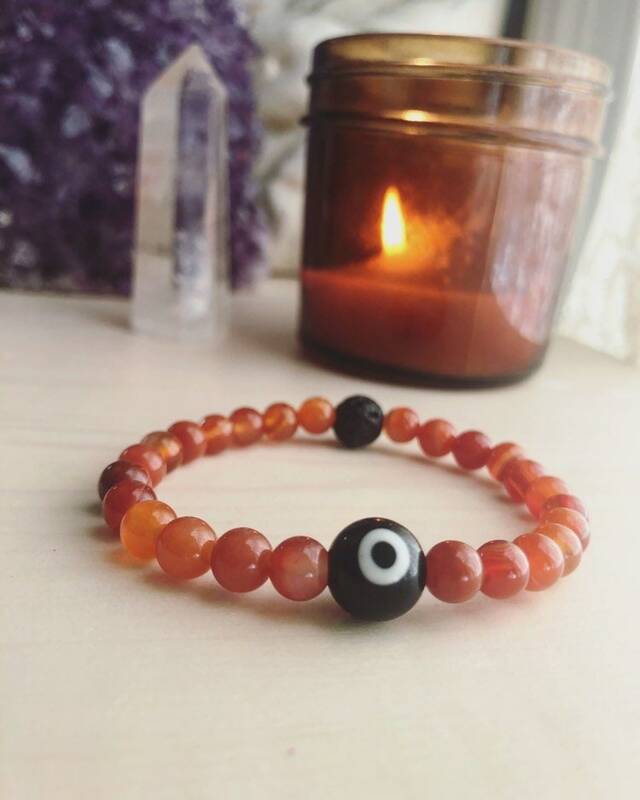 The “evil eye” bead is a talisman said to keep those who want to harm you away. LAVA BEAD I started adding a black lava bead to the bracelets placed directly across from the crystal. It can be used as an essential oil or perfume diffuser.